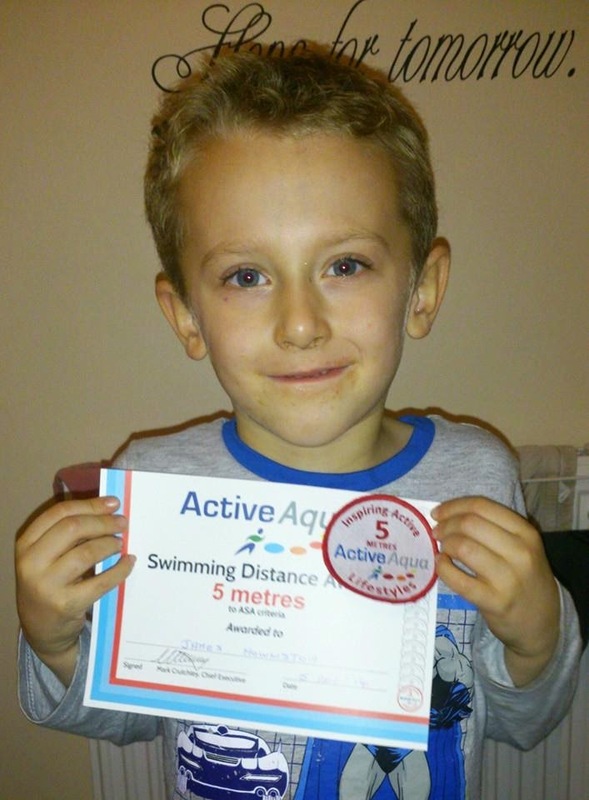 James has been attending swimming lessons since February 2014 and loves them! I think swimming is one is those essential life skills that children really should know how to do, After all it could save their life! James has gone from not being able to swim at all (and hating his face getting wet) so being able to swim short distances completely unaided and will happily splash his face, dive under water and swim under water! He attends group lessons which consist of around 15-20 children with 3 teachers who are all in the pool. Our local leisure centre has also started offering 1 to 1 lessons too so I signed James up to one to try them out and they were great!! After just one 1 to 1 lesson James had achieved his 5m badge and was extremely proud (and so was I!). He will still be attending his weekly group swimming lessons but will now have a top up 1 to 1 lesson at the beginning of each month. I am so glad he is learning something so important whilst still having fun and enjoying himself! I am so proud of him. Do your children enjoy swimming? Congratulations! I too think swimming is an essential skill to learn.